Early one morning, for no earthly reason, Sara Miles, raised an atheist, wandered into a church, received communion, and found herself transformed embracing a faith she d once scorned. A lesbian left-wing journalist who d covered revolutions around the world, Miles didn t discover a religion that was about angels or good behavior or piety; her faith centered on real hunger, real food, and real bodies. Before long, she turned the bread she ate at communion into tons of groceries, piled on the church s altar to be given away. Within a few years, she and the people she served had started nearly a dozen food pantries in the poorest parts of their city. 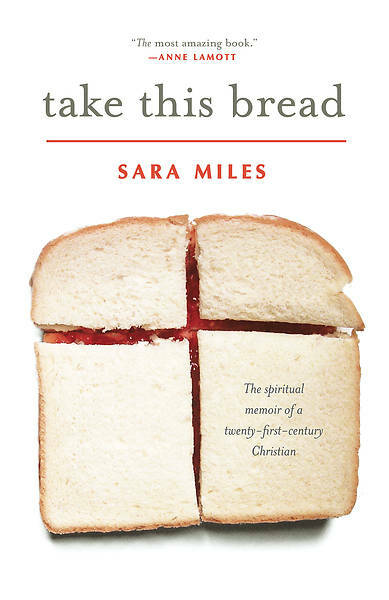 Take This Bread is rich with real-life Dickensian characters church ladies, millionaires, schizophrenics, bishops, and thieves all blown into Miles s life by the relentless force of her newfound calling. Here, in this achingly beautiful, passionate book, is the living communion of Christ. Engaging, funny, and highly entertaining . . . Miles comments, often with great insight, on the ugliness that many people associate with a particular brand of Christianity. Why would any thinking person become a Christian? is one of the questions she addresses, and her answer is also compelling reading. Powerful . . . This book is a gem and] will remain with you forever. What Miles learns about faith, about herself and about the gift of giving and receiving graciously are wonderful gifts for the reader. A] joyful memoir . . . advocates big-tent Christianity in the truest sense . . . a story of finding sustenance and passing it on. Rigorously honest, Take This Bread demonstrates how hard and how necessary it is to welcome everyone to the table, without exception. Don t miss the reading group guide in the back of the book."